As splicing requirements have migrated from aerial to ground level locations, a sturdy splicing workstation with the ability to adjust for uneven ground surfaces has been missing from the splicing marketplace. 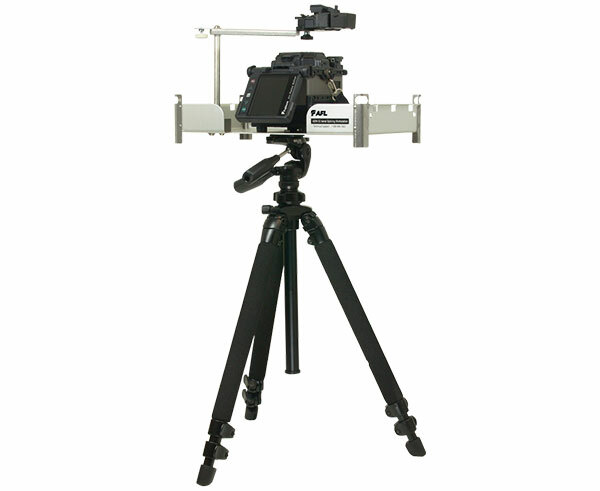 That problem is solved with AFL's Portable Tripod Workstation – the critical missing link in splicing productivity. 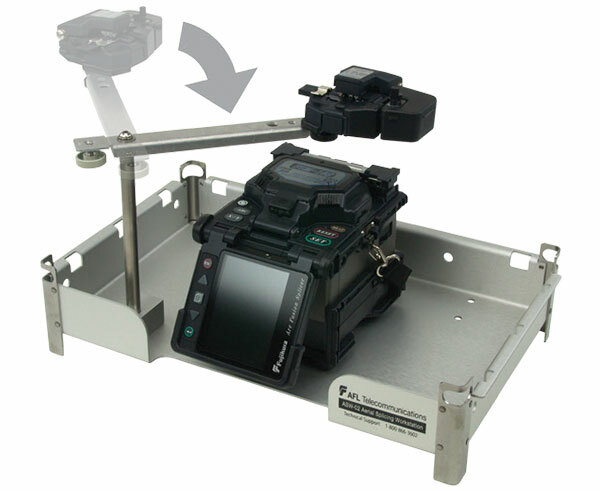 The Portable Tripod Workstation offers both a sturdy work tray to support the fusion splicer, cleaver and accessories, and a tripod to support the work tray. The two can be purchased together as a kit or separately for those users who prefer to use their own tripod or mounting mechanism. The work tray incorporates a unique cleaver mounting system that offers flexibility and convenience for the user. The cleaver mounting arm pivots into and out of the work space, as needed, and securely captures the CT-30, CT-20 and CT-04 style cleavers. The base of the cleaver mounting assembly can be moved to any one of four positions on the tray to accommodate user preferences. The tripod is solidly constructed but lightweight, weighing less than six pounds, and collapses to a length of only twenty-five inches. The telescoping legs offer flexible height adjustments from thirteen inches to sixty-one inches and the leg angle can be increased for unusual surfaces.